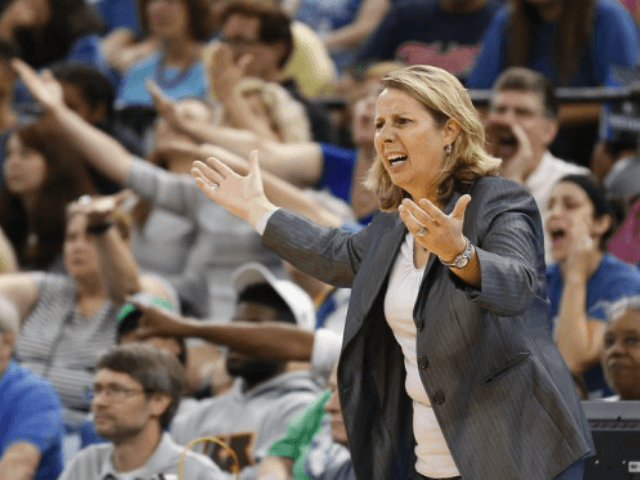 Women’s National Basketball Association (WNBA) coach Cheryl Reeve told reporters that the lack of a White House invitation to celebrate her team’s championship, shows that President Trump does not value women’s sports. Reeve, the coach and General Manager of the WNBA’s Minnesota Lynx, says that the White House has still not invited the league champions to visit the White House even as Trump has met with a long list of championship teams from men’s sports. Reeve also took to Twitter to complain about the lack of an invitation for the WNBA champs to celebrate their win with a White House visit. 2) Golden State, UNC MBB, Bama Fball, Astros received an invite/visited within months of 'ship. The coach also noted that WNBA champs had been invited to the White House during the Obama years. “President Obama sort of spoiled us in terms of establishing this expectation to be recognized,” she said. WNBA President Lisa Borders also lent her voice of disappointment over the lack of response from the White House. On the other hand, a large number of WNBA players have loudly expressed criticism of Donald Trump in the recent past. In addition, entire WNBA teams have used their sport for political activism protesting against the country by taking a knee during the playing of the national anthem. For instance, the entire Indiana Fever team took a knee in protest before a game in September of 2016. Also that year, multiple players across the league risked fines by wearing Black Lives Matter shirts on the court. Such protests became so pervasive that police officers working as security in Minneapolis walked off the job over the WNBA’s protests. In other words, even with her complaints that there has been no invite to celebrate their championship, Reeve isn’t sure her team would even accept such an invite.